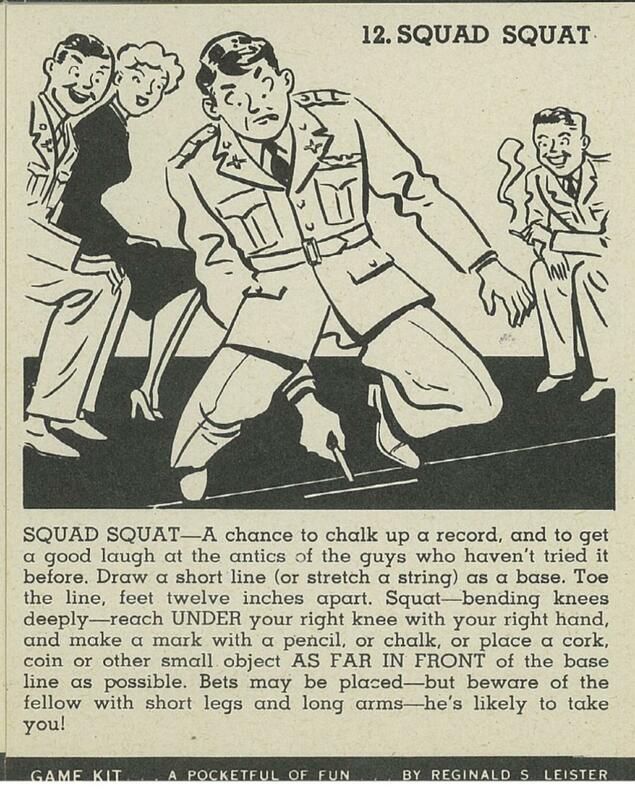 This week I thought I’d provide you with an idea for some family fun to enjoy this Thanksgiving in the form of a 1940s game. 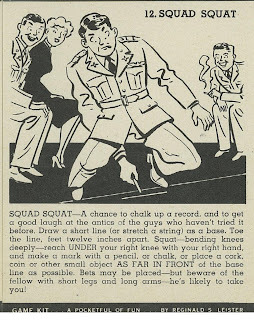 The game is called Squad Squat. Beware: it requires quite a feat of flexibility; therefore, I would recommend playing this game before gorging on turkey, mashed potatoes, and stuffing! 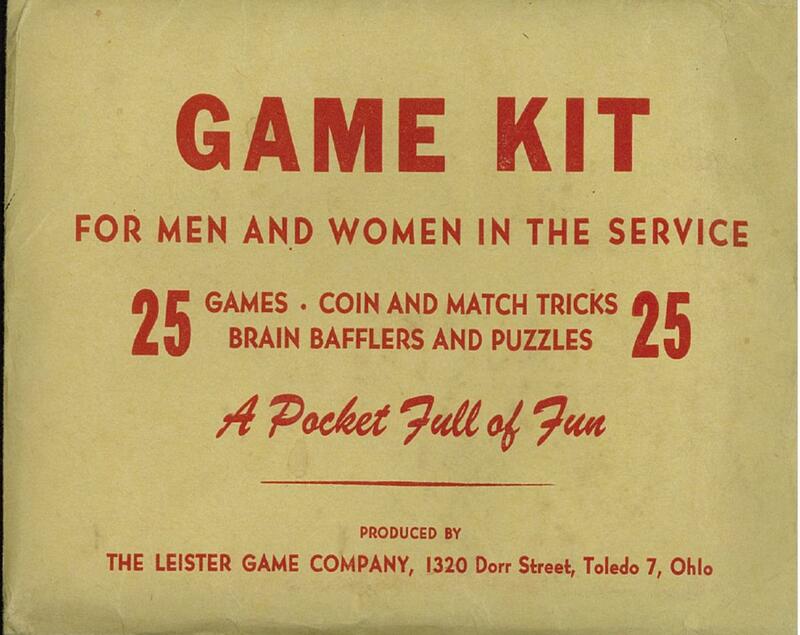 This game, and 24 others, came in a package from the Leister Game Co. based in Toledo, Ohio called “Game Kit for Men and Women in the Service”. It was generously donated to the Memorial’s archives by a local couple a few weeks ago. 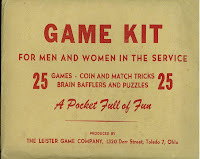 While there is no publication date available on the games, based on the attire of those in the illustrations, it may be safely assumed that this set was manufactured sometime in the 1940s. The great thing about the games in this set is that they require very few materials to play. 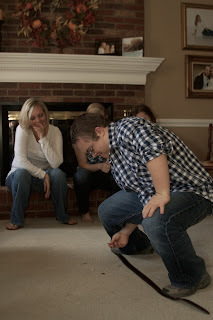 Everything that my family used to play was found easily around the house or in a pants pocket. 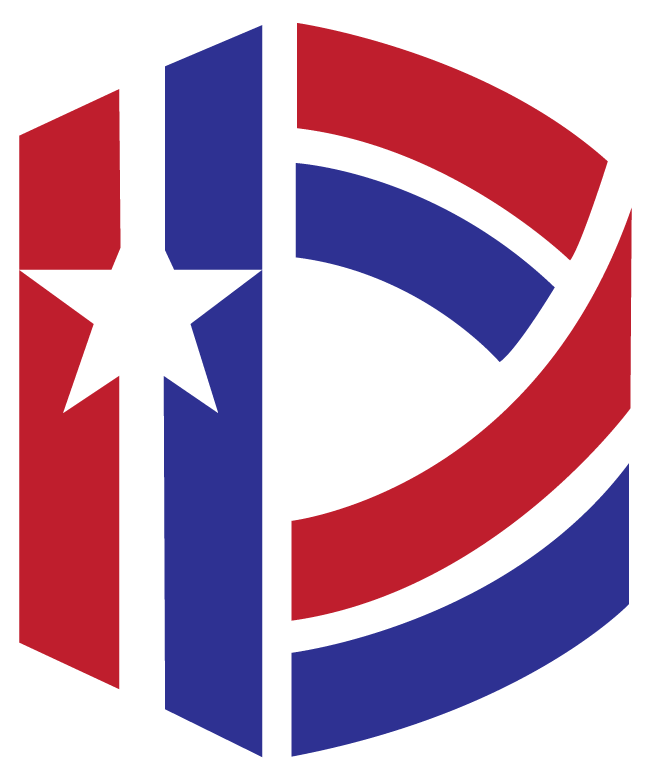 As a quick aside, the Leister Game Company is still operating today and according to its website, it started in 1933 out of the basement of Reginald S. Leister. Leister Game Company is best known for its golfer games and novelties, but they do produce other types of games and gags as well (http://www.leistergame.com/ accessed November 23, 2011). 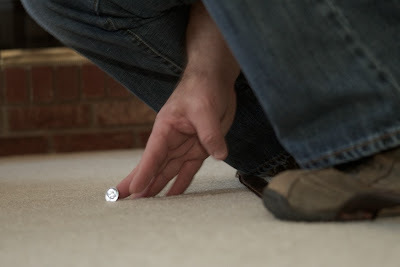 Draw or create a line on the floor. Assign each player a token or game piece. (We used a penny, dime, paperclip, wood screw, and safety pin). 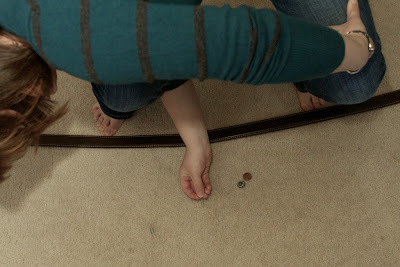 Taking turns, each player should step up to the line and squat down while reaching his or her arm through his or her legs to place the token as far out from the line as possible. The person whose token is farthest from the line wins! My family members were great sports and graciously agreed to demonstrate squad squat to have their slightly awkward and embarrassing poses forever immortalized in the blogosphere. I don’t know that squad squat will become an annual family tradition, but this year it did provide us with some hilariously awkward family fun. Place the token as far out from the line as possible. The person who’s token is farthest from the line wins! Hope you enjoy and have a wonderful Thanksgiving!